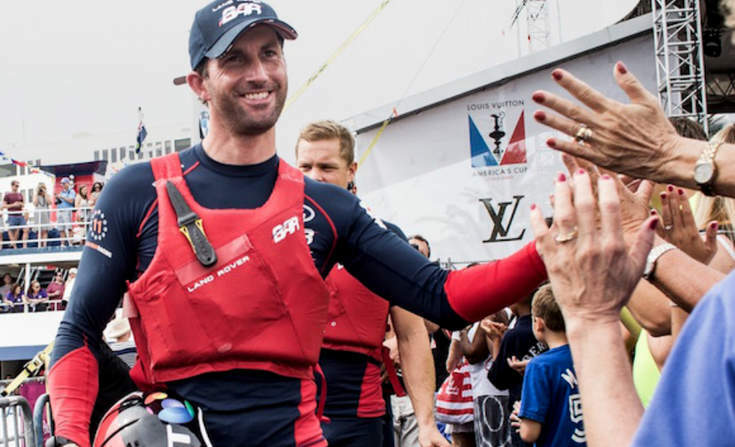 Lean and green: Can Land Rover-Ben Ainslie Racing win America’s Cup? Part 1 of a three-part series on Land Rover BAR’s sustainability strategy. Susie Tomson, sustainability manager for Land Rover BAR, laughed modestly when she and her colleagues were termed 21st century sailing-sustainability equivalents of 1960s and 1970s NASA scientists — minus, of course, the starched white shirts and thin “just the facts” ties. Modesty aside, what Tomson and the Land Rover BAR team, along with exclusive sustainability partner 11th Hour Racing, are doing, sustainability and business-wise, has the chance to disrupt the way sailing race teams operate, while also helping Land Rover BAR win the 2017 America’s Cup. In other words, it’s like an Apollo program for sailing. How are they doing this? It starts with Life Cycle Assessment (LCA), a technique that assesses the environmental — and financial — impacts associated with all stages of a product’s life from cradle to grave (for example, from raw material extraction through materials processing, manufacture, distribution, use, repair and maintenance, and disposal or recycling). Thus, when the team was forming in 2013, its goals were clear: Win the 2017 America’s Cup in Bermuda and do so in the most environmentally, socially and financially responsible way possible. While it’s easy to tell whether the boat wins the race, it’s not so easy to know all of the environmental, social and financial impacts of the journey that would get the team from inception to finish line. That’s where LCA came in — as the detailed scoreboard that measured Land Rover BAR’s environmental and associated financial impacts attendant to building the race boat and the support boats.